After breakfast depart Delhi for Mussoorie arriving in the hotel in the afternoon. 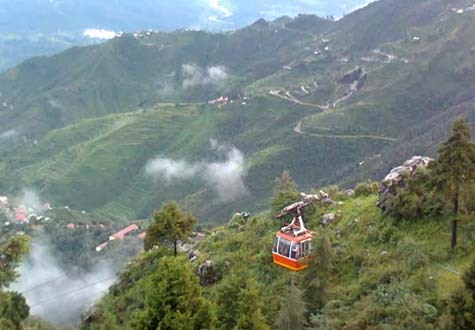 Mussoorie: is a fascinating hill resort and its green hills varied fauna and flora makes it a colourful picturesque tourist destination commanding a wonderful view of extensive Himalayan Snow capped mountains. Rest of the day to roam around and enjoy the beauty of the surrounding hills. After breakfast sightseeing of Mussoorie visiting:-Gunhill, Muncipal Garden, Lal Tibba and Observatory. After breakfast depart Mussoorie for Haridwar arriving in Hotel by afternoon. 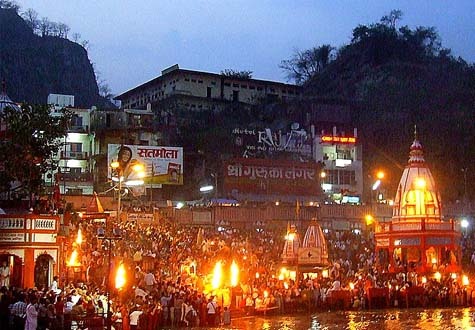 Haridwar is the gateway to the four pilgrimages of Uttaranchal. It's also your starting point on the journey to the sacred sources of the rivers Ganga and the Yamuna. According to legend, Prince Bhagirath performed penance here to salvage the souls of his ancestors who had perished due to sage Kapil's curse. The penance was answered and the river Ganga trickled forth from Lord Shiva's locks and its bountiful water revived the sons of King Sagara. In the tradition of Bhagirath, devout Hindus stand in the sacred waters here, praying for salvation of their ancestors. Rishikesh : Rishikesh is famous as a 'Holy City' of different Ashrams like Gita Bhawan, Swarg Ashram, Parmarth Niketan and Shivananda Ashram (Divine Life Society). 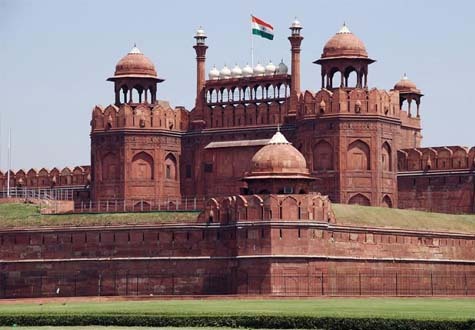 It is also famous for its Lakshman Jhoola, Bharat Temple, Triveni Ghat, Rishikund, Raghunath Temple, Pushkar Temple, Laxman Temple, Swarg Ashram and Gita Bhawan. In the evening view AARTI (Fire Pooja) in Haridwar. After breakfast depart Haridwar for Nainital arriving at the hotel in the afternoon. 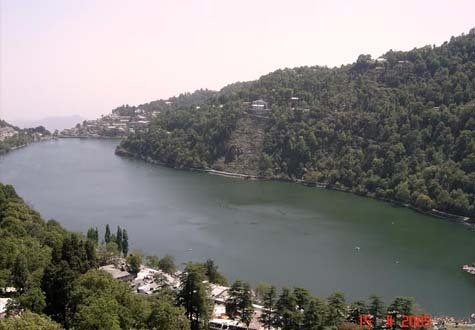 Nainital is filled with many wonders that require two to three days to explore including peaks, waterfalls and lakes. You can enjoy the view by walking or by using ponies to ride to these destinations. Horses can be hired at Bara-Patthar that has become one of the most convenient transportation methods and is an attraction for tourists but riding these ponies is strictly prohibited within the town area. Rest of the afternoon at leisure to roam around the Naini Lake. Naini Lake: Is a natural make of mother earth is set amidst seven mountains that surround this stagnant water pool and high peaks that almost touch the sky. Many tourists flock to view its enchanting beauty that stretches over 3.5 kms and also where one can sit on the banks and enjoy a view of Sunrise up to Sunset that reflects with vibrant colors on this lake. After breakfast sightseeing of Nainital visiting:- The Mall Road ,Aerial Ropeway, Governor's House or Raj Bhavan, Snow View Point ,Aryabhatta Research Institute of Observational Sciences,St. Johns Church. After breakfast depart Nainital for Ranikhet arriving at the hotel by afternoon. Ranikhet :At a height of 1,829 metres, the ridge tops of Ranikhet are good vantage points for panoramic vistas of Himalayan peaks including the Nanda Devi group. From the luxuriant fruit orchards of Chaubatia, 10 km beyond the Mall, you can get a sweeping view of the Himalayas, especially the peaks of Nanda Devi, Trisul, Nanda Ghunti and Neelkanth. 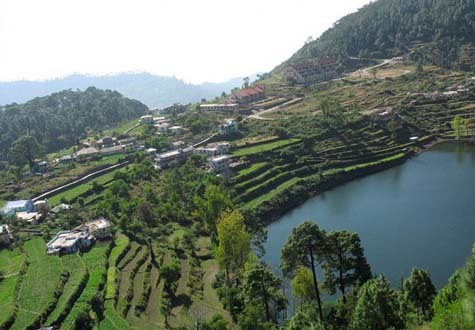 Ranikhet is the starting point for a number of exciting treks into the Himalayas. The fabled Jhula Devi temple dedicated to Goddess Shakti and an ancient shrine dedicated to Rama lie on the outskirts of town. Enjoy a refreshing walk through the mall & visit the temple shrines. After breakfast sightseeing tour visiting the herbarium of Kherna, the complex of 55 ancient hill temples of Dwarahat. In the afternoon roam around the Gold Course at the sprawling natural meadows with a magnificent view of the mountain slopes. After early breakfast depart Ranikhet for Delhi arriving directly at the Airport in time to catch flight for onward destination.